Boots are too narrow in the forefoot section. Try these things in order. If the problem isn’t solved move on to the next. 2/ Liner stretch – this can be done yourself using a broom handle. Put the liner over the broom handle and pull the liner down whilst moving it side to side to push out and flatten the foam on each side of the forefoot. You will be surprised how much extra room around the forefoot can be created using this method. 3/ Shell stretch – this will really need to be done by a technician in a store. 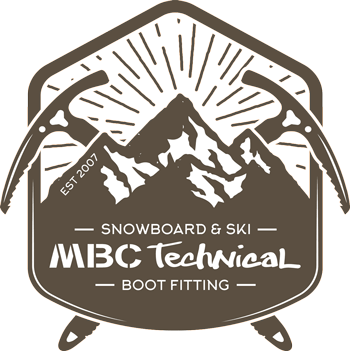 Ski boots need to be heated and specialist equipment used. Do not try this one at home! 4/ Different / wider boots! All brands fit differently. Get the right ones for your foot shape! Don’t just go on colour!